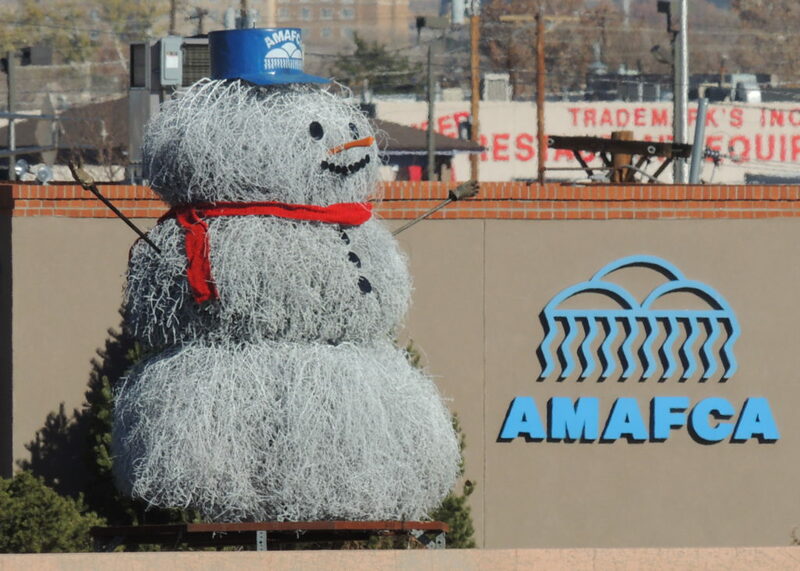 The AMAFCA Tumbleweed Snowman appears along Interstate 40 every year. 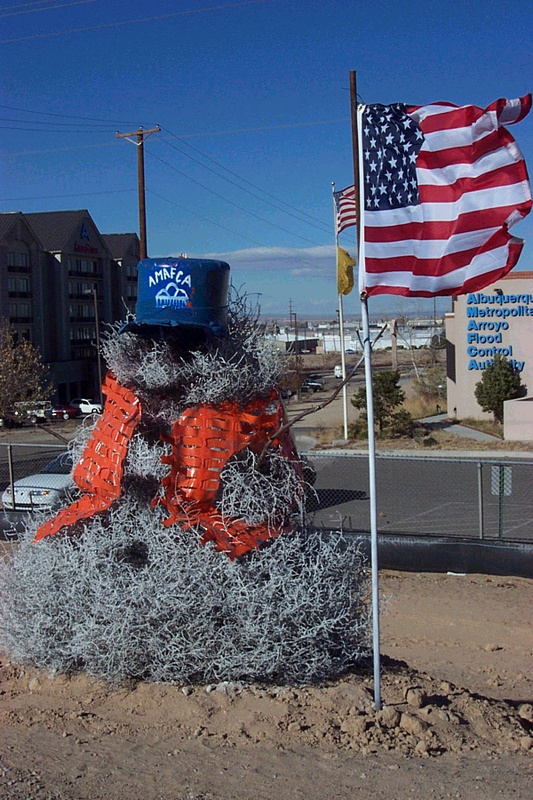 His debut occurs on Tumbleweed Tuesday, the Tuesday after the Thanksgiving holiday. 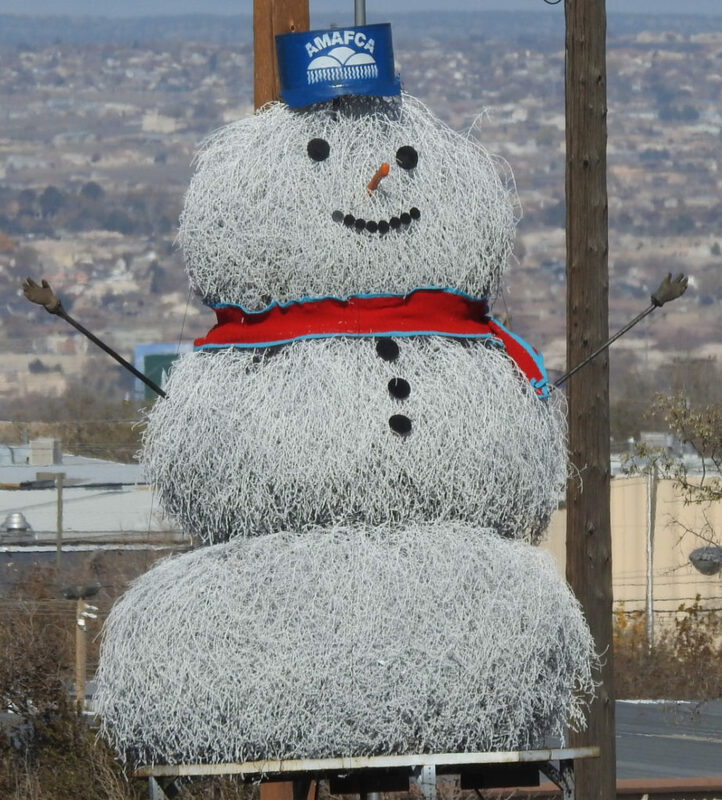 For most Albuquerque residents, his appearance signals the start of the holiday season. 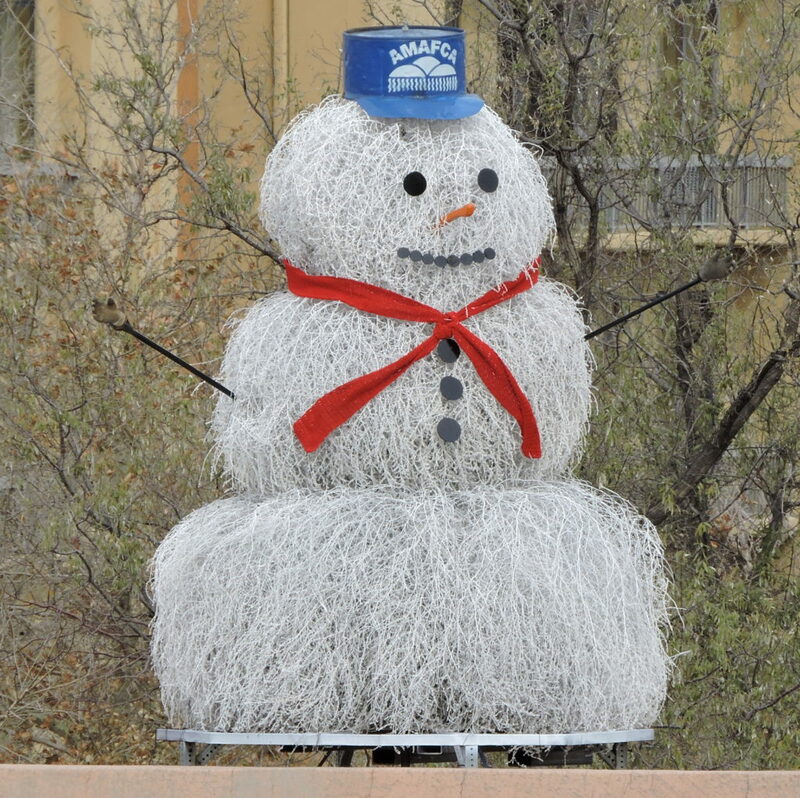 The tradition began in 1995 and the snowman has increased in size over the years. 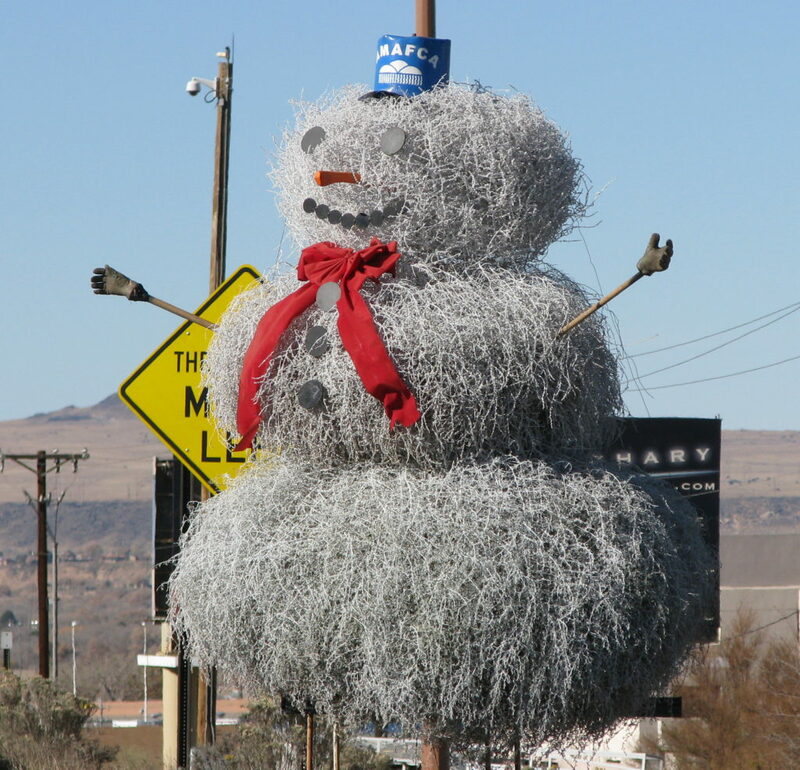 He currently averages about 12-14 feet tall, about 8 feet wide and is made up of only 3 tumbleweeds. 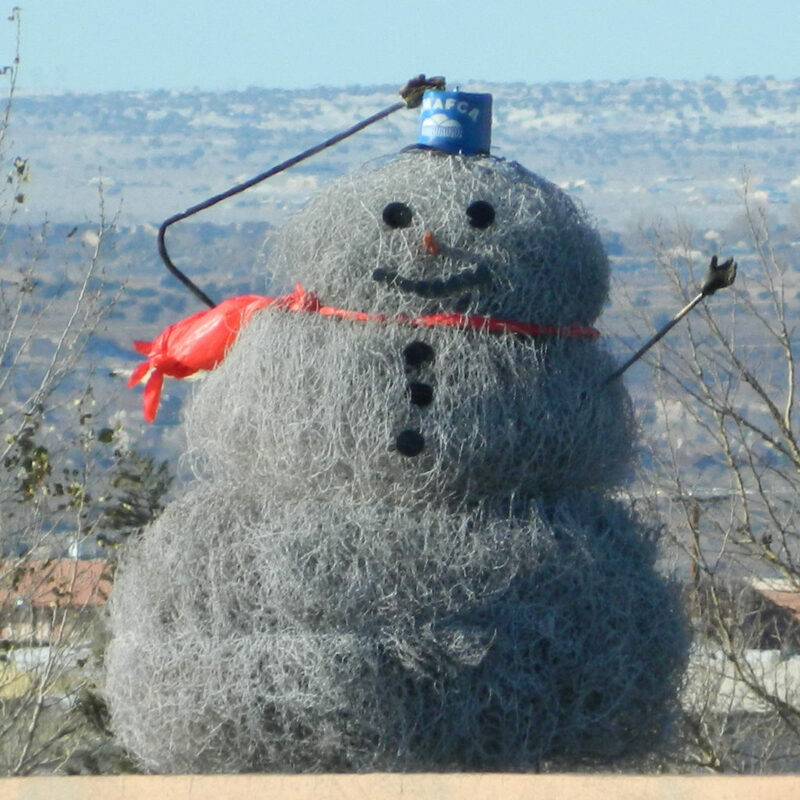 His decorations are made of recycled materials. The eyes, mouth and buttons are made from scrap metal, his nose is a broken ax handle, his hands are old work gloves, and his hat is a 55-gallon drum. 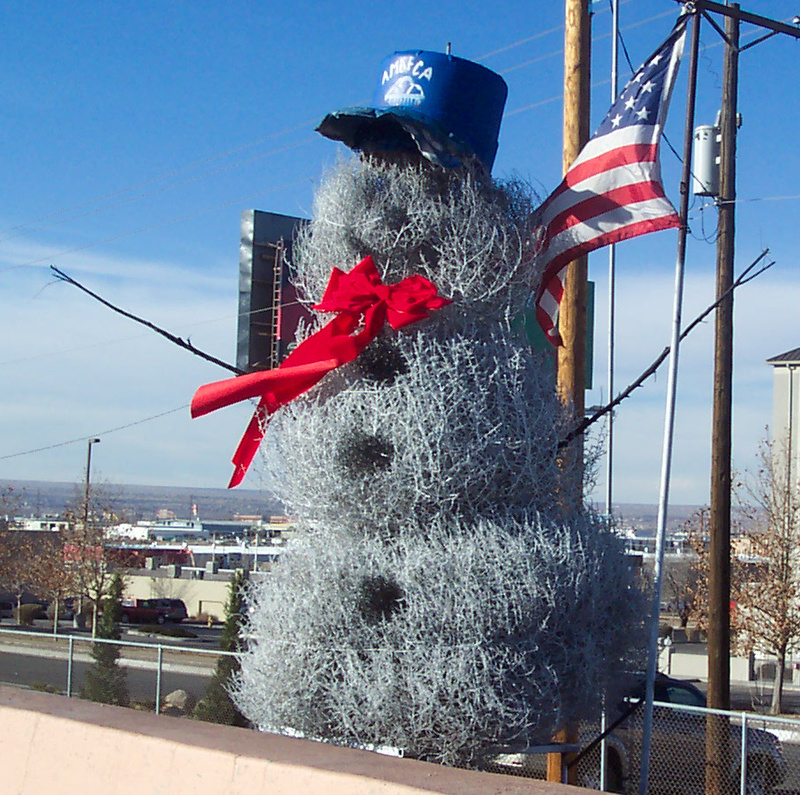 His scarf is knitted by the mother-in-law of one of our maintenance crew.